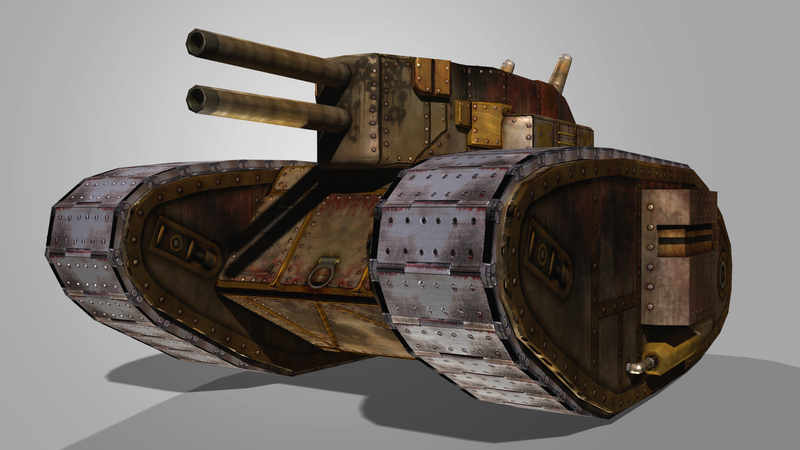 This is the second basic tank unit for Black Howlers' new game, No Man's Land. 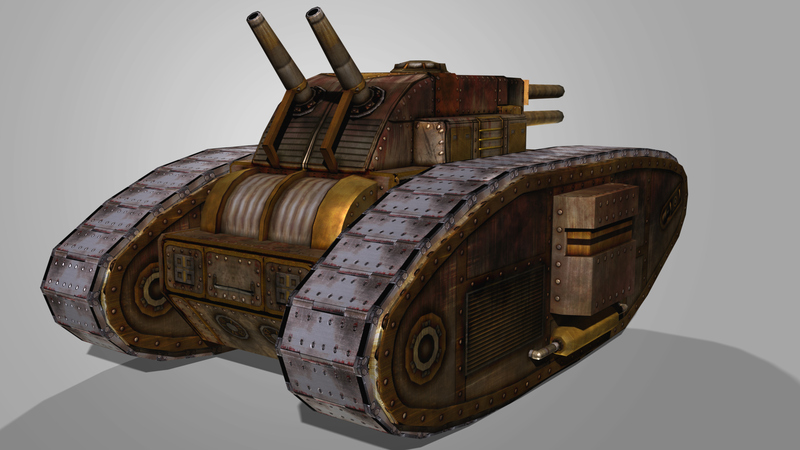 The double barrel steam tank is the second basic armor unit for Black Howler Studio's game, No Man's Land. 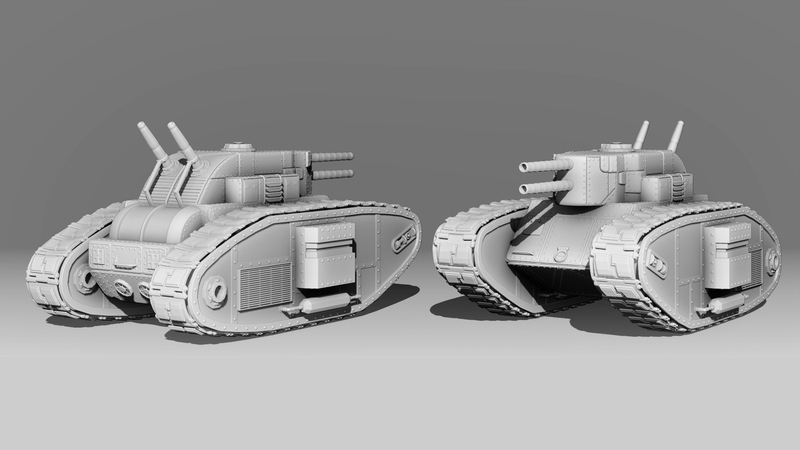 My goal with this model was to continue starting in Zbrush and use more hard surface modeling techniques. This time, I used the shadow box technique to create the large form parts of the tank. To get the details, I combined panel loops and kit-bashing techniques. Because this model didn't have wheels to animate movement, I used a separate texture and animated it instead of the mesh. 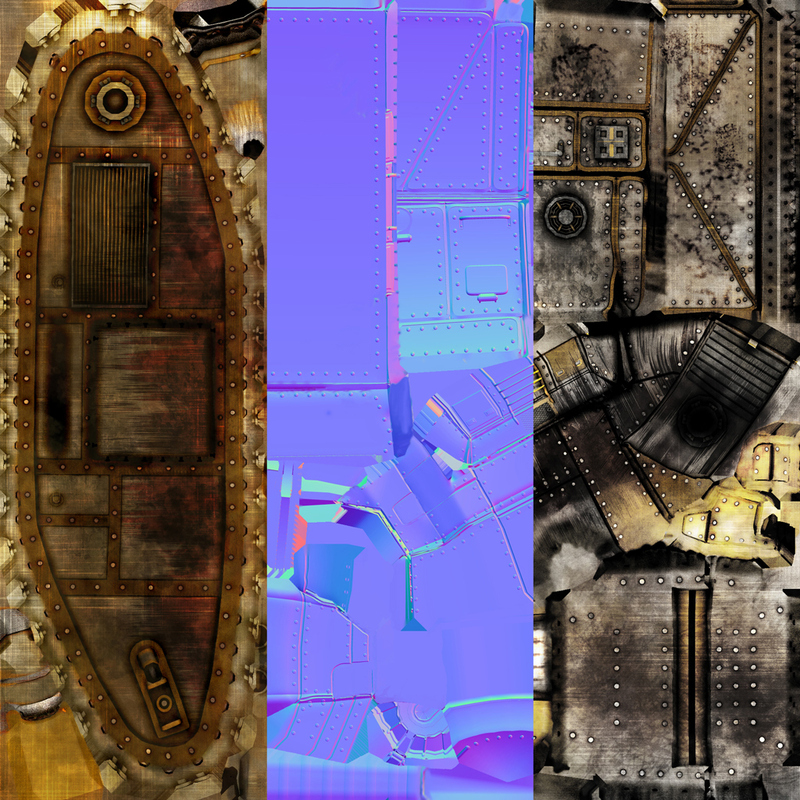 This avoided an expensive tread mesh needed to animate a similar cyclic motion or the use of blend shapes. 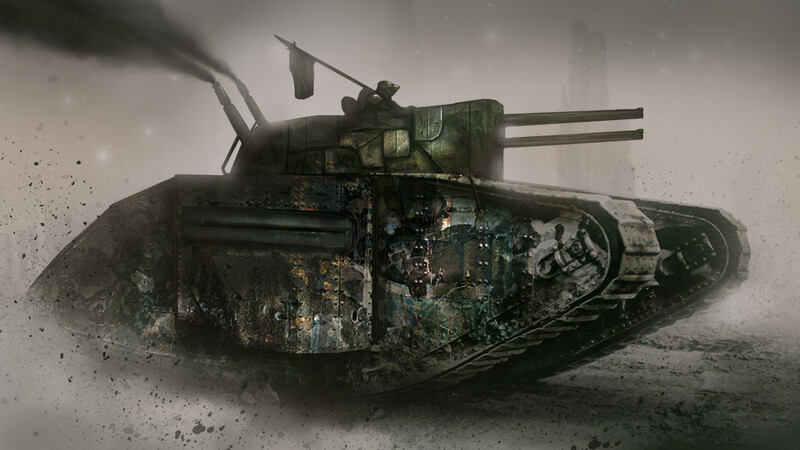 Based on the tank concept by Vincent Van Hoof.